So I’m pretty much finished writing my first novel, Guardian of the Cursed Crown. After two and a half years, five drafts, and advice from beta readers, I’d say it’s almost ready for the world. From here I can go two ways. The first is to get an agent. Once I’ve hooked one, then she will get a professional editor, a book cover designer, and push to get it published. Now, actually getting an agent is one of those many things in the world that’s easy to say but hard to do. So How Exactly do You Get an Agent? I’ve been finding agents through blogs like Writer’s Digest. Note that not every agent is interested in every genre, so it’s always good to read their about page. If an agent is suitable, you shoot them a query letter, which consists of a hook, a pitch, and a bio. Even though there are tons of advice on how to write a query letter all over the Internet, writing the damn thing can still be almost as hard as writing the entire novel. Things get even more complicated when they ask for a synopsis. The person who came up with the idea of cramming 250-300 pages into a couple of lines was just nuts, but if that’s what they want then I’ll just have to go with it. So I’ve written my query letter and my synopsis, and I’ve queried… and queried… and queried. I’ve been rejected about 10 times, enough to start a collection. But the way I see it, I have 90 more to go, so I better get going. Why I’m I trying so many times? Did you know Carrie by Stephen King was rejected 30 times? How about Gone with the Wind by Margaret MItchell, rejected 38 times. Chicken Soup for the Soul by Jack Canfeld and Mark Victor Hansen, rejected 140 times. As you can see, it’s rare for a writer to find an agent in the first query letter. You just have to be persistent. This is where I’ll go the second way: self-publishing. There are benefits, like I get to keep most profits (maybe even all depending on how I publish), but it’s going to be expensive. 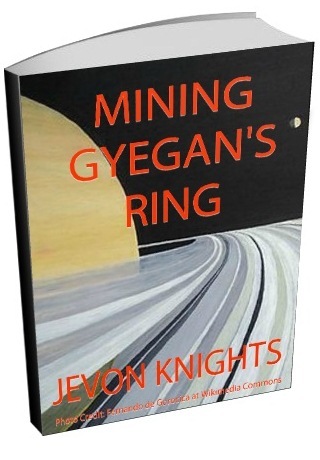 If I want to release a polished book, and every writer should, then I’ll have to hire my own editor and book cover designer. After all, I don’t want some garbage with my name on it to be my debut novel. So what do you think? Would I reach 100? And are you doing something that you’ve reached a major hurdle? I’d love to know in the comments. I haven’t seen Elysium, but I did watch Gravity and I, Frankenstein tonight (both better than Frozen as far as I’m concerned!). I highly recommend I, Frankenstein if you’re in the mood for some comic book, over the top action and what happens when myth meets science fiction. I have never looked at rejections as bad marks upon my craft. Think about it: each rejection means someone took the time to read your project. Isn’t that what it’s all about? 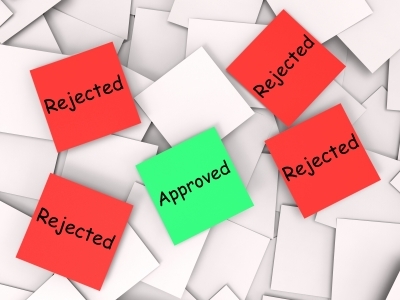 Collecting rejections, to me, is more like a badge of honor rather than one of shame. I’ve only been rejected a few times (I have spent most of my time writing stories); I’ve also tried the self publishing angle. People have had success with it, but it’s not for everyone. I don’t think it’s for me, since I don’t have the time or the sales chops to push my own work. But hey, I say collect those 100 rejections! Number 101 might be the long awaited yes. Thanks Serena. Yeah I’ll wear my rejections with pride. And both Gravity and I,Frankenstein are on my to-watch list. By the way, Elysium was great. 140 is brutal. Maybe the chicken soup helped with that. At least writers today always have the self-publishing option, which isn’t just a vanity project like it used to be. Anyway, good luck. Thanks Sean. I’ll check out that article. Don’t know how it’s relevant, but I enjoyed Gravity. It has it’s flaws (Niel Degrasse Tyson says it should have been titled “Angular Momentum” hehe), but as far as story and character arch, pretty satisfying. Anyway, aye, keep it up. That’s the best any of us can encourage, or do for that matter, over the internet. It’s all about goals, about priorities, and questions. Are you trying to maximize your profit, or get your foot in the door? If you knew for a fact that you would never get paid for your writing, would you still do it? Are you willing to compromise the content of your writing? Because that’s what big publishing houses do; rarely is an author’s authentic word put into print (digital or otherwise). Editors and publishers will want to change things in your story to better fit the market, because their goal isn’t to put new and unique stories out there – it’s usually to sell books according to trends. When it comes to be my turn to start writing posts like this, I’ll likely be going to the self-publishing route. Let me know when or if you lean in that direction as well – I know folks you may want to speak to. Thanks Jesse. I’ll let you know. And it sounds like I need to watch Gravity. I’ve been hearing everyone talking about it.